Starting from a small supplier of proteins and enzymes for academic institutes and biotech companies, Creative BioMart has always been focusing on developing high quality protein products and efficient protein manufacturing techniques. Over the past decade, our products and services are proved to have served our customers well and our brand has become one of the most trustworthy in the market. AG Scientific is an 18 year old company focused on advancing drug development via innovative biochemical for preclinical research, as well as, custom raw material for diagnostics test development. Our product line include Antibiotics, Biochemical and Reagents, Biological Buffers, Inhibitors/Antagonist, inducers /agonists, enzymes, protease inhibitors cocktails, Protein A/G/L Affinity conjugates. Antibodies, Apoptosis reagents, biological detergents, Cancer research tools and products and Services, Cell biology related products and many more. Extensive Collection of Clones, Antibodies, Assays, Kits and Reagents Our clone collection is second to none; with over 20 million pre-made clones, we are the world’s largest clone resource.We offer over 200,000 primary and secondary antibodies, proteins, peptides and isotype controls – all of high quality and validated in their recommended applications.With our comprehensive selection of assays, molecular biology tools, reagents and biochemicals, our product portfolio supports researchers in every field. Supporting the Healthcare System Through our highly accredited, state of the art facilities, coupled with renowned consultant pathologists and dedicated scientists, we deliver a cutting edge reference laboratory testing service for cancer and other diseases.Our STI testing services, 'Just between us' and 'Don't pass it on', offer a discrete and confidential online option for STI testing.We are the UK’s largest supplier of Phosphate Buffered Serology Saline (PBSS). For over 30 years, we have continued to work to the highest standards to manufacture a number of products for the storage and serological testing of blood. AimPlex Biosciences leverages years of assay development expertise to offer comprehensive solutions in biomedical testing. Founded in August 2011, the company is committed to developing and providing high-quality, cost-effective assay reagents for flow cytometry analyses. Our immunoassay products employ existing flow cytometry analytical platforms for detection. AimPlex Bio offers a rapidly-evolving, customizable test menu—presently 336 immunoassays, as well as custom immunoassay services to develop multiplex assay panels to improve customer assay performance and efficiency. 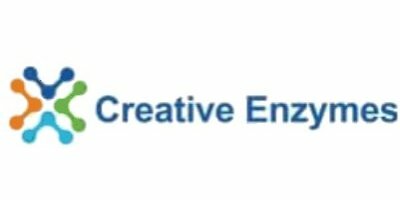 Creative Enzymes uses its expertise in enzyme manufacturing to supply customers enzymes using for life science research and production of medicines, food, alcohol, beer, fruit juice, fabric, paper, leather goods, etc. Our products are used worldwide in academic, commercial, and government laboratories in diverse applications, including basic research, drug discovery, cancer research, infectious disease research, microbiology, and personalized medicine. As a reliable supplier, Creative Enzymes supplies the products of high quality and competitive cost performance. We cooperate with a large number of satisfied customers in corresponding fields all over the world. Creative Enzymes is customer-oriented. Our staff are always devoting themselves to provide quality products and considerate services to the customers. Some of our products are also unique in the field. Choosing our products means choosing high return. Life Diagnostics manufactures ELISA kits, SPARCL™ kits, purified biomarkers and antibodies for preclinical research and veterinary diagnostics. Our areas of expertise include cardiovascular, acute phase, immunotoxicity and immunology biomarkers in species including mouse, rat, rabbit, cat, dog, pig, cow, monkey and chicken. Because of the increasing research into PEGylated biologics we have also developed anti-PEG monoclonal antibodies and ELISA kits for detection of PEG, mPEGylated proteins and anti-PEG antibodies. We manufacture all of the products listed on our website. Rossix is a company devoted to Thrombosis and Hemostasis. The company represents the experience of more than 30 years of development work in the field. Rossix provides Products for use in Hemostasis Research and Quality Control. The vast majority of our customers are pharmaceutical companies and academic bioscience laboratories. ProSpec is an evolving biotech company providing highly purified proteins worldwide which serve the research community with cytokine-related products for cancer, apoptosis, development, endocrinology, immunology, neuroscience, proteases, and stem cell research. Among our proteins are Interleukins Bone Morphogenic Proteins Tumor Necrosis factors Leptins Stem Cell factors Prolactins Chemokines, Antibodies, Peptides Enzymes Viral Antigens, various growth factors such as: Platelet Derived Epidermal Insulin Like Nerve Connective Tissue Vascular Endothelial Fibroblast and more..... Our research team and scientists have been able to assemble more than 6000 recombinant proteins, peptides and antibodies for your research needs. The proteins are rigorously tested to meet the research and development demand for excellent quality, uncompromising biological activity at competitive prices. ProSpec has established sterling reputation among the scientific community, a reputation built on innovative products, customer service and attention to detail. Our reputation for quality is an essential factor in achieving a favorable position in the market place and the benefits associated with manufacturing top quality products. Use SHIKARI Products from Matriks Biotek for your Biosimilar drug discovery. Matriks Biotek® produces ELISA test kits and monoclonal antibodies for research and better understanding of the diseases. The Matriks Biotek® “Shikari®” ELISA kits and anti-drug antibody ELISA kits can be efficiently used, for monitoring serum trough levels and the presence of anti-drug antibodies respectively, during therapy and offers the scientist a tool for taking decisions on possible preventive measures. GrampEnz (Grampian Enzymes) manufactures and offers key native enzymes and saccharides for research and development, primarily in the area of glycosaminoglycans. We have over 25 years of process development and production experience in this product area. As a primary manufacturer, we are able to offer products from stock, and provide bulk quantities of all our products. Currently we offer native Heparinase, Chondroitinase and Secondary Enzymes, and Heparin, Chondroitin and Hyaluronic Acid Disaccharides. Reddot Biotech Inc., located in Kelowna, British Columbia, Canada, was founded in 2015 by an executive team with over 35 years combined experience in the medical device industry. We focus on providing customers in the global marketplace with timely customer service, reliable supply and products with superior performance. We thrive on competition, innovation and fast resource allocation for customer needs. Reddot Biotech Inc. currently focuses on the sale of reagents and related products for pharmaceutical, laboratory, medical and scientific research use. We are committed to research and development to bring customers top quality products providing accurate, reliable and fast results critical to any research. With extensive experience working with companies and research institutes across continents, we offer tremendous value in the products and services we provide. We do our best to bridge the gap between the industry and academics, and welcome opportunities in collaboration to further scientific research. 4LAB DIAGNOSTICS srl is a dynamic Italian biotech company specialized in Food Diagnostic. We joined our skills with the InCura srl experience since 2001, with the aim of developing high quality diagnostic systems. Today we represent a reference company for many testing laboratories, offering a large portfolio of kits, specialized skills, a consulting service and a $B!H(Bcustom made$B!I(B design. Our close cooperation with University, Scientific Parks and public and private Research Institutes ensures a continuous update on food safety claims and technology innovations. Elabscience specializes in immunodiagnostic technology for life science community. We have complete platform for R&D and manufacture. At the same time, we have in house QC for every product, endeavoring to keep your experiment results more consistent and precise. Through unremitting effort and development, our customers have spread in more than 100 countries all over the world. Elabscience major products cover Proteins, Antibodies, ELlSA Kits, CLIA Kits, Labeling Kits$B!$(BBiochemical Kits and Other Reagents. Elabscience also offers custom services for our customers including Protein Expression and Purification Service, Custom Antibody Service, Custom ELISA Service, Cell Biology Service, Molecular Biology Service and Whole Research Project Solutions. At Atlas Antibodies we have a very clear mission: To provide our customers with advanced research reagents targeting all human proteins. The Human Protein Atlas (HPA) project released the first version of a complete tissue-based map of human protein expression using antibodies in November 2014. In close partnership with the HPA project, we continue to develop advanced antibodies and advanced reagents for Mass Spectrometry (MS)-based quantitative proteomics. Of the possible 20,000 protein coding genes in the human body we already have over 21,000 antibodies covering 15,000 gene products and an additional 20,000 protein quantification MS-standards representing 13,000 protein targets. 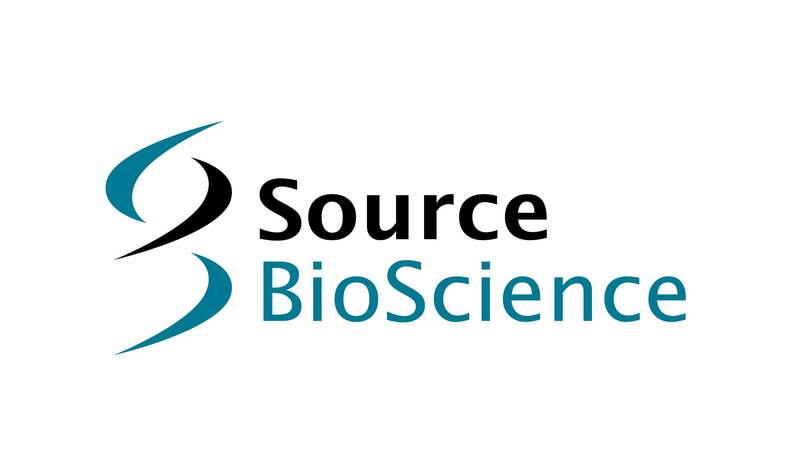 Founded originally in Vancouver, British Columbia in 2006 by three enthusiastic scientists passionate about providing the best biological reagents worldwide, MyBiosource, Inc. was incorporated as a company with big visions. Since 2007, we have relocated our headquarters to sunny Southern California, San Diego (USA). As a goal towards achieving our primary mission, we aim to provide our customer base of researchers and scientists with a one-stop searchable collection of biological reagents, suchas monoclonal or polyclonal antibodies, recombinant proteins ELISA kits. "MyBioSource offers the widest selection of products at the best prices." Ludger is a bioscience company specialising in analytical technology for medical applications of glycobiology. The technology originated at the University of Oxford, UK. It is used in the quality control of FDA- and EMEA-approved biopharmaceuticals worldwide, and can be used to support IND submissions. We have been operating since 1999 and have built up a client base including leading pharmaceutical and biotechnology companies throughout the world. Ludger is an ISO9001 Registered Company. Ludger operates a Quality Management System (QMS) which covers all aspects of the company's operations, including glycoprofiling contract analysis, and is based on the ISO 9001:2015 registration framework. We are pleased to announce that in October 2018, Ludger achieved Cyber Essentials accreditation. Cyber Essentials is a government-backed and industry-supported scheme to guide businesses in protecting themselves against cyber threats. This accreditation demonstrates Ludger's commitment to security and our ability to defend both our organisation's and customers' critical data against prevalent cyber threats. Ludger's Head Office, R&D, analytical services and production laboratories are located within the U.K Bioscience 'golden triangle' (Oxford-Cambridge-London) at the Culham Science Centre, Oxfordshire, UK. © 2019 Shiven Biotech All Rights Reserved.